A certain tendency in hip hop? Published on 02. 09. 2013 in commentary and criticism, hype & linkage and music. Closed Tags: Pumpehuset, Rapspot, Twista, Wacka Flocka Flame. 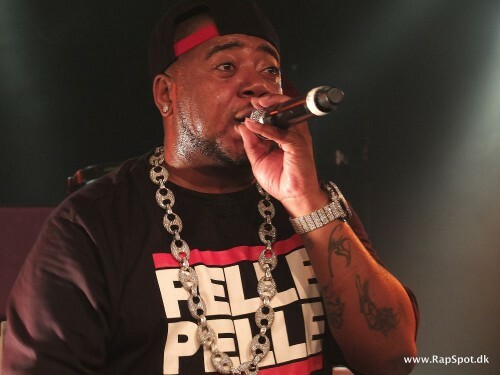 Over at RapSpot, I’ve just reviewed Chicago speed rap veteran Twista’s incredibly poor showing in Pumpehuset, Copenhagen this past Saturday (in Danish, unfortunately). A large part of my criticism is the fact that he lip synched almost his entire concert, which ties in with the reservations I recently expressed about the Wacka Flocka show at the same venue. The difference was that Twista for over twenty years has marketed himself as the fastest rapper alive and in this represents the kind of virtuoso technique that one has to be able to deliver on stage as well as in the booth in order to retain artistic credibility, whereas Wacka Flocka has not and does not. Also, Twista’s show was lazy and poorly conceived. A shame, but the real issue seems to me that this kind of approach to performaning live is proliferating in hip hop.